Now Doctor Who fans can be wearing this Tardis Skirt With Suspenders. 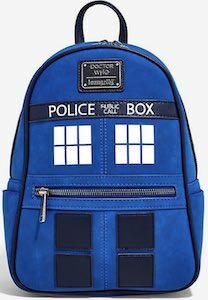 The women’s skirt is Tardis blue and has two pockets for your Sonic Screwdriver or something else you need to have to take everywhere you go. 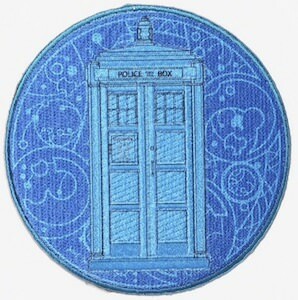 And then on the skirt, it shows a picture of the Tardis and below it, you find the text “Brilliant!” just like we have heard the 13th Doctor say lots of times and there are yellow suspenders on the Doctor Who skirt to just like the first female Doctor Who wears. The skirt is made from 97% cotton and 3% spandex and comes in women’s junior sizes XSmall – 3XL and to make it fit even more perfect the suspenders are adjustable in size. 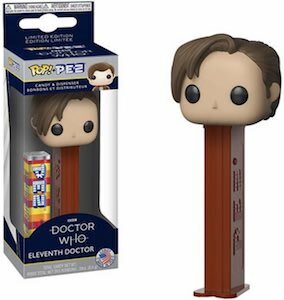 Doctor Who fans that love candy can now have this 11th Doctor Who PEZ Dispenser. When you get your PEZ dispenser you get a nice box with inside it one package of PEZ candies and the dispenser that is brown with the head of the 11th Doctor Who on top. Now simply put your candy inside it and then whenever you fold the head of the Doctor back a candy will appear. And as PEZ dispensers can stand it will be great to have the Doctor standing on your desk or a shelve in your home. Now you just have to make sure you have enough candies for inside your Doctor Who candy dispenser. Now you can start listening to the Doctor Who Soundtrack From Series 11. 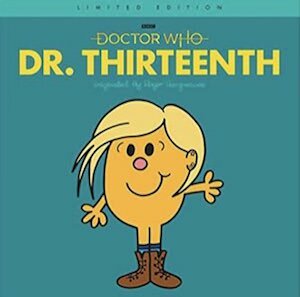 So as you watched the first season of the first female Doctor you may have noticed the nice soundtrack it has and if you want to own that sound then you can as it is all part of this soundtrack CD. 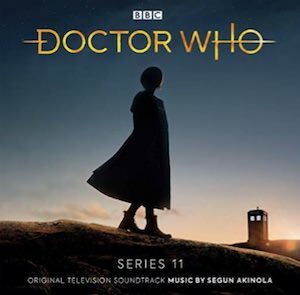 The score of the series is made by Segun Akinola and he did a great job getting the 13th Doctor going and now he can be part of adding music to your everyday life. Doctor Who fans can now have this men’s Tardis Leather Wallet. This Doctor Who wallet has a bunch of features and one of them is RFID protection. 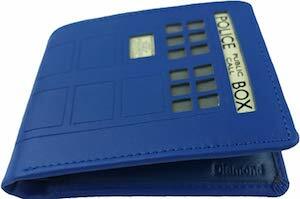 The wallet is Tardis blue with the windows and signs visible to you on the outside and then inside there is room for bills and coins and lots of slots for cards and even a flap that that can hold two ID cards as they have a see-through cover. So this bifold men’s wallet is just a perfect way to carry your cash and card and shows people that you are a true Doctor Who fan. Now you can own a 13th Doctor Poster. This Doctor Who poster shows the image that was released to the public before she arrived to TV and you can own it. 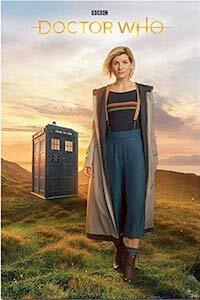 This Doctor Who poster is 36 x 24 inches in sizes and shows a nice scenery with the Tardis in the background and then in front of it all the first female Doctor and there is the new Doctor Who logo above it all too so that everyone knows that this is a Doctor Who poster. If you like to have something fun Doctor Who on your wall then a poster like this could be just what you need.